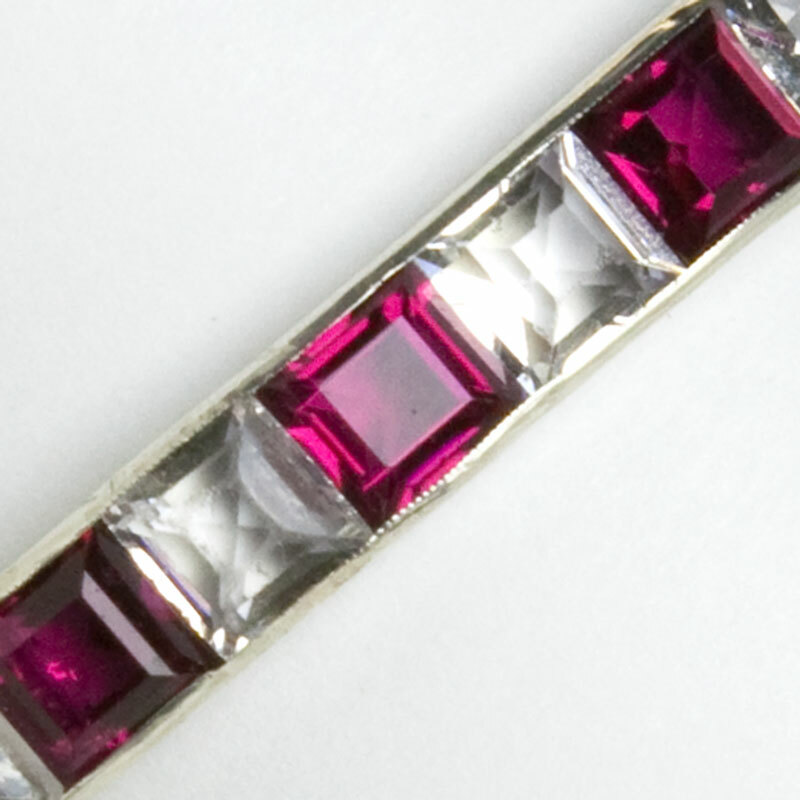 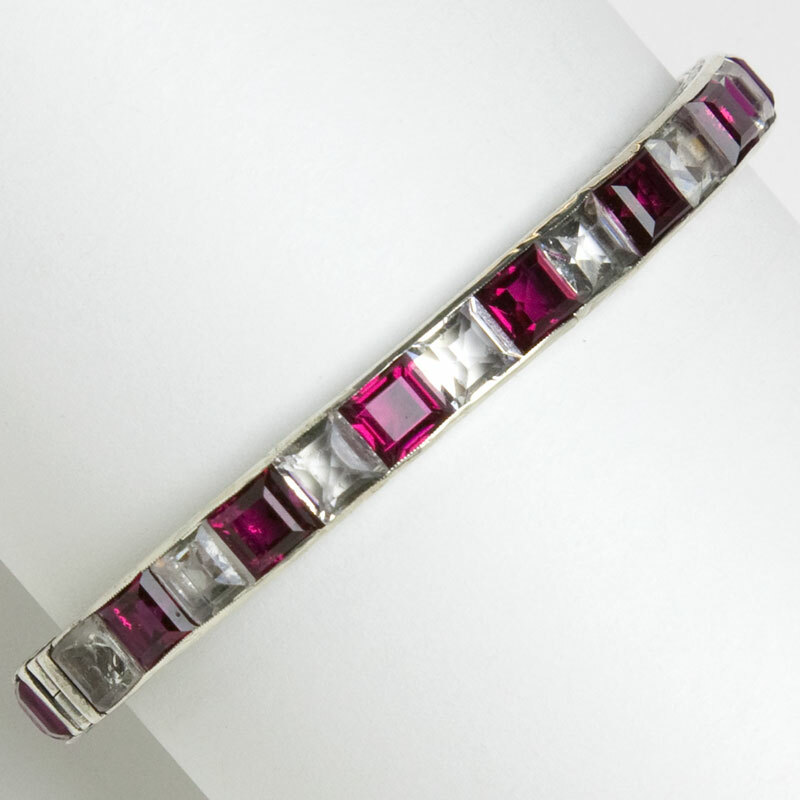 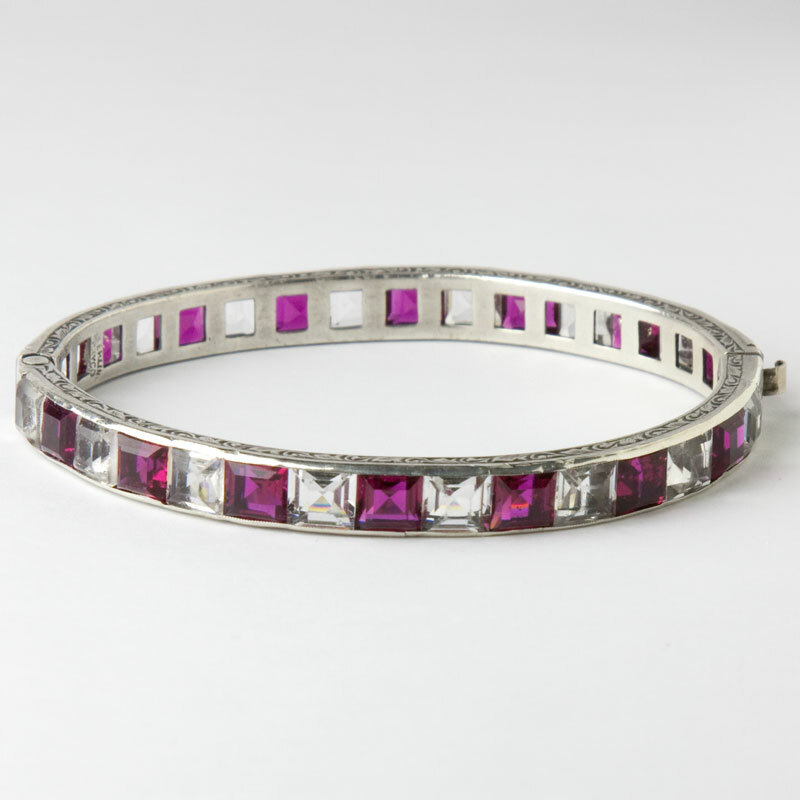 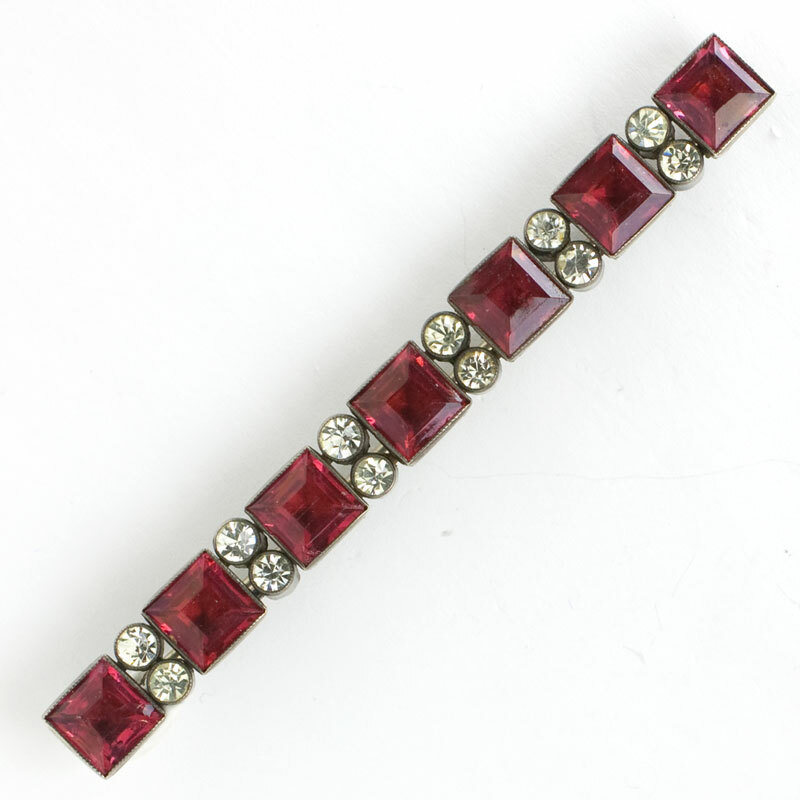 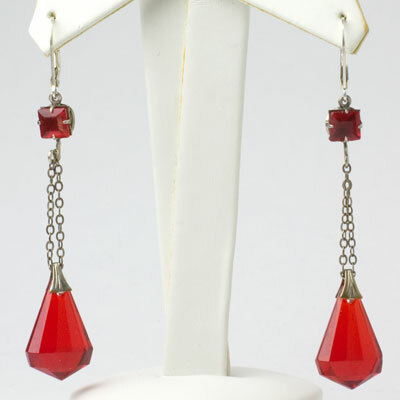 Outside: 2 3/4" x 2 3/8" x 1/4"; inside circumference: 7"
This Art Deco bangle has faceted square-cut ruby glass stones alternating with square-cut crystals, set in sterling silver. 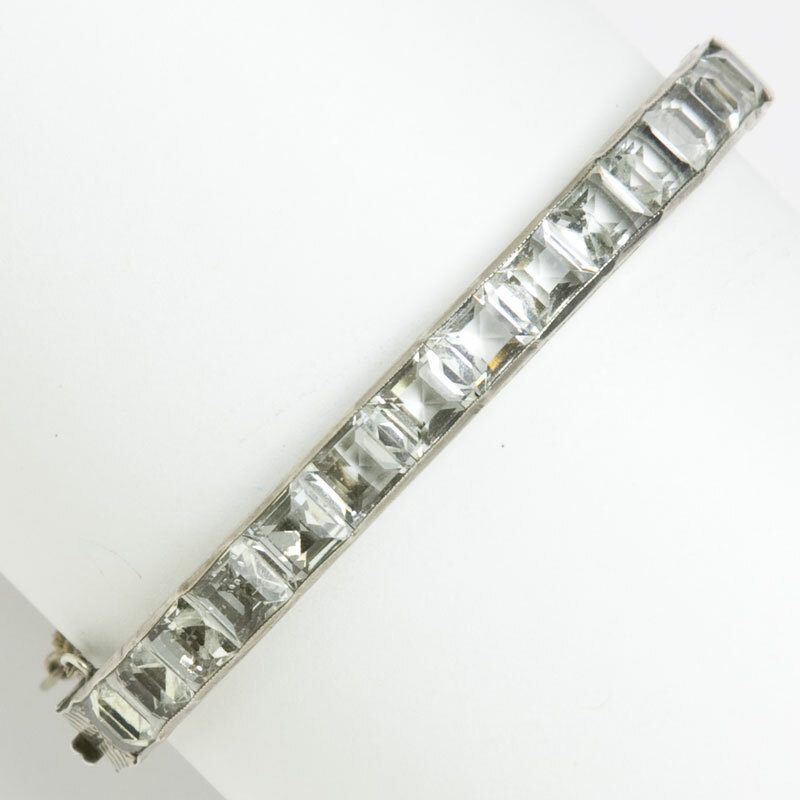 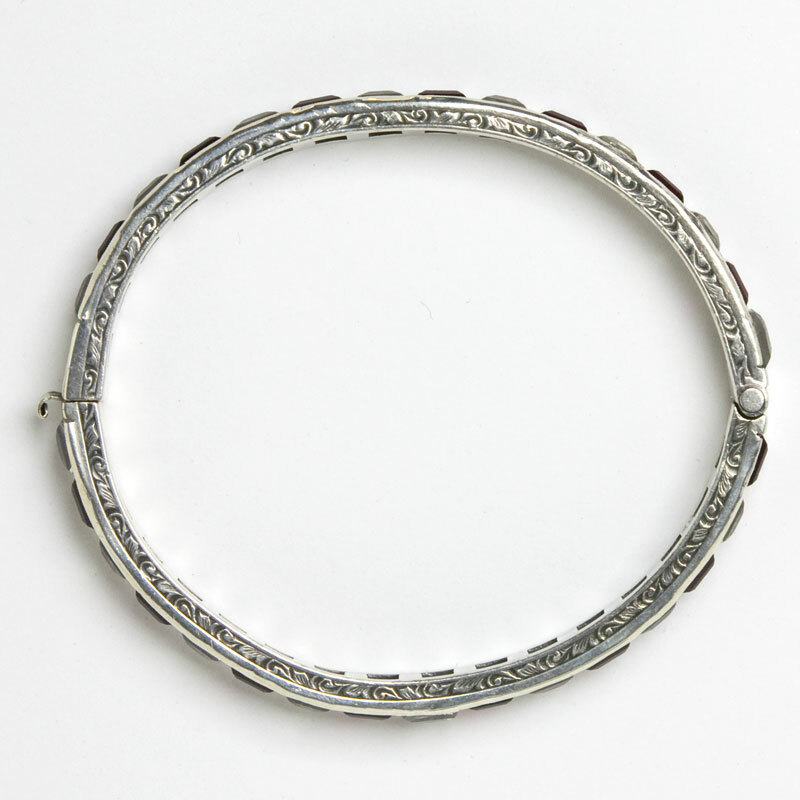 This bracelet by H. Payton (better-known as PAYCO) has a concealed clasp and etched edges. 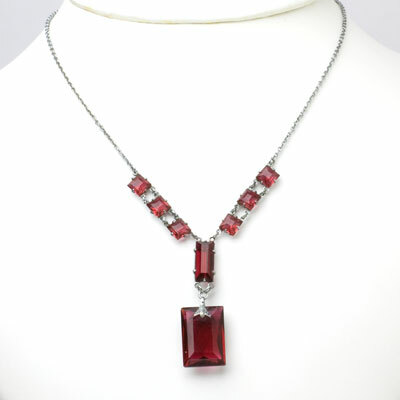 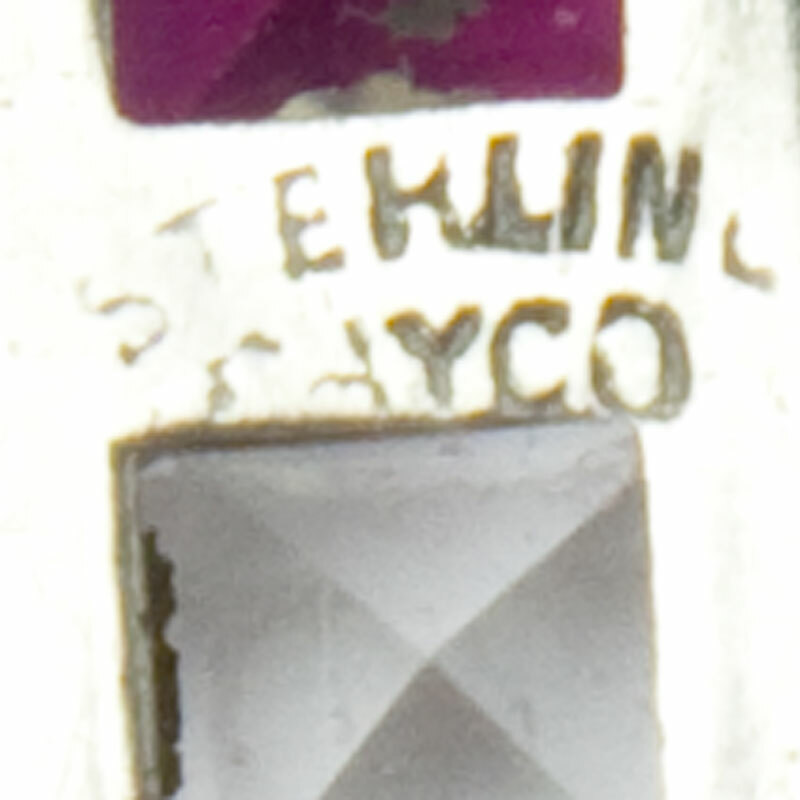 This design and construction are typical of this type of piece so popular in the 1920s. 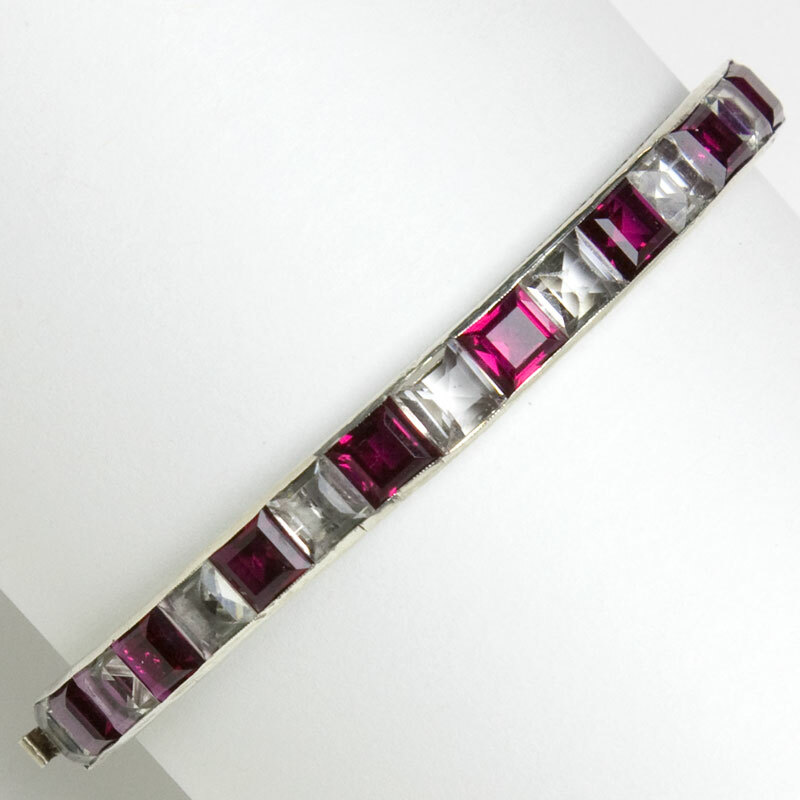 Bangles like this one never go out of style. 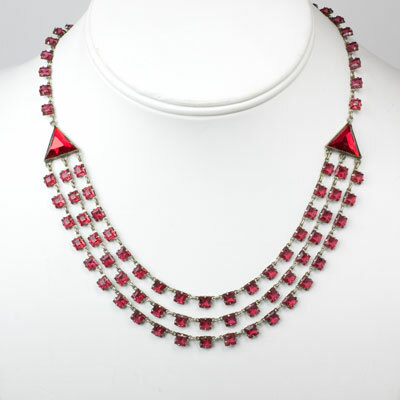 Wear it alone or with coordinating pieces like the ones shown below. 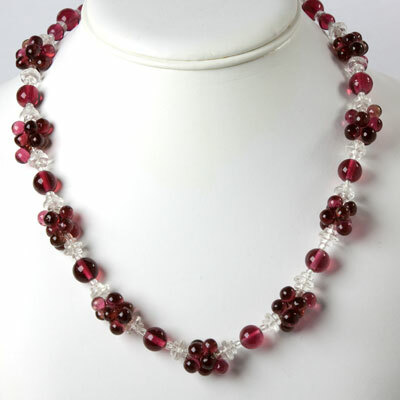 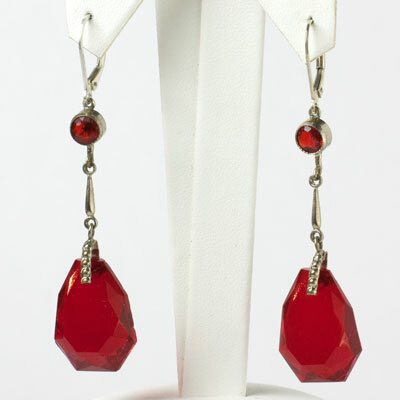 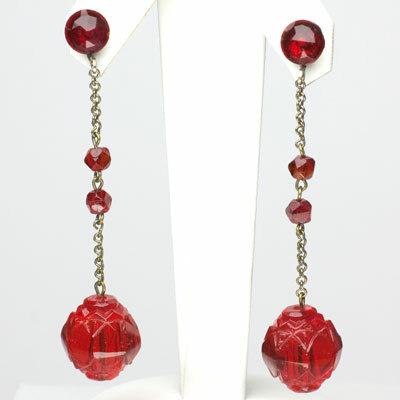 Or wear it with contemporary jewelry.